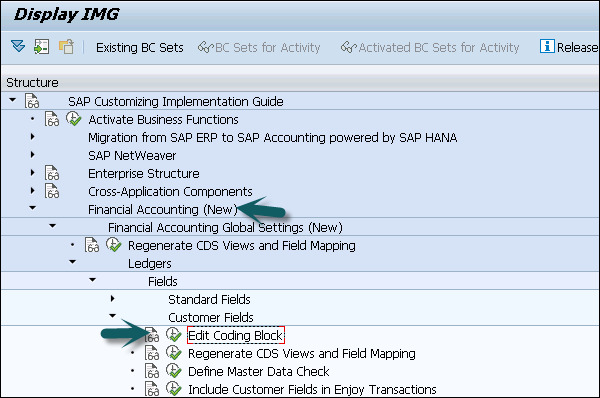 Step 1 − To extend G/L coding block, you have to navigate SPRO → IMG → Financial Accounting (New) → Financial Accounting Global Settings (New) → Ledgers → Fields → Customer Fields → Edit Coding Block. 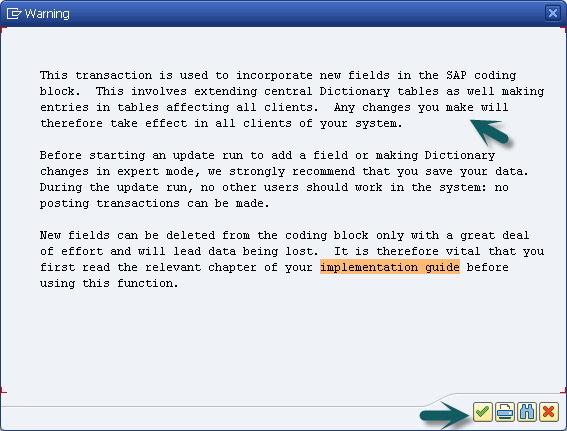 Step 2 − In the next window, click the tick mark to confirm incorporation of new fields in SAP coding block. 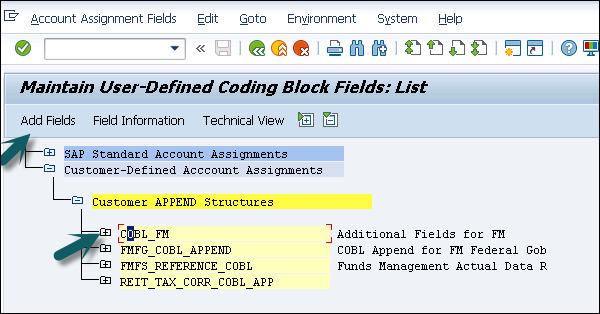 Step 3 − When you add a customer field to the coding block, structure CI_COBL and CI_COBL_BI are created. 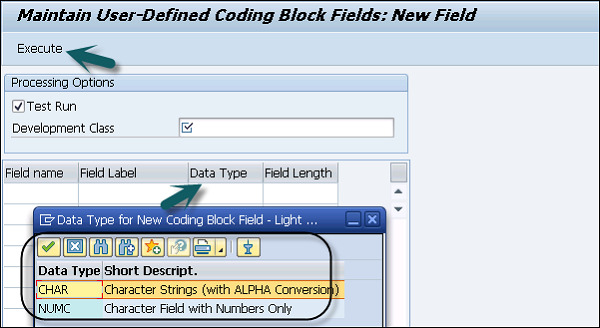 Select CI_COBL Coding Block Customer Include and click Add Fields (F6). Step 5 − Select from the following Data Type – CHAR or NUMC. Once you enter all the details, click the Execute button.